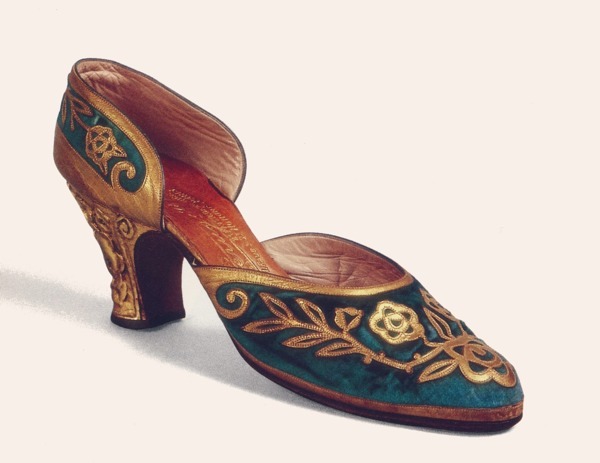 Gli avvistamenti di questa celebre scarpa di André Perugia continuano. 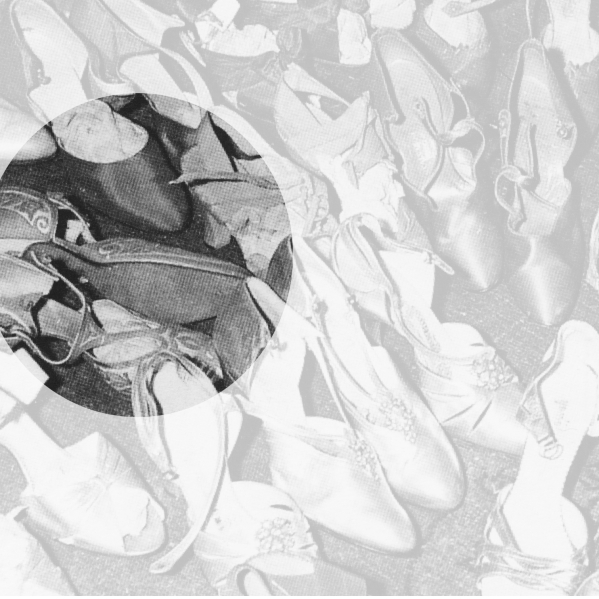 I curatori del Virtual Shoe Museum hanno individuato sulla copertina della rivista Paris Music-Hall (#167, Giugno 1928) la (allora) celebre ballerina del Moulin Rouge Miss Mills che indossa le Perugia/Warhol e poco altro. Bel colpo. Sightings of this famous André Perugia shoe are piling up. 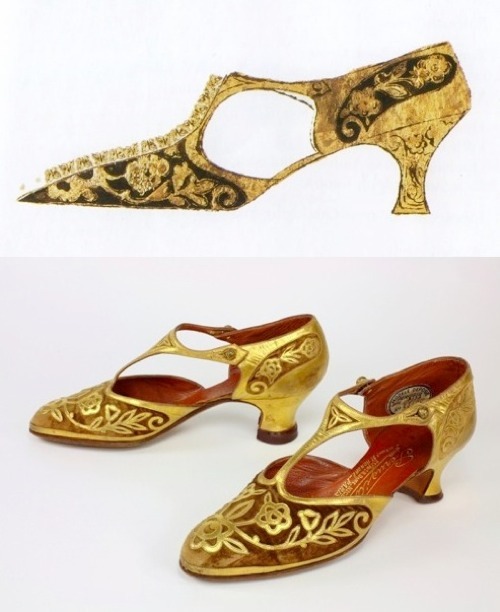 The curators at the greta Virtual Shoe Museum found the cover of the Paris Music-Hall magazine (#167, June 1928) featuring the (then) famous dancer Miss Mills shod in Perugia/Warhol and little else. Bull's-eye. E a noi non rimane altro che chiedere aiuto a Mademoiselle Mistinguett per tentare di bilanciare la partita. So, in order to even things up, we asked a little help from Mademoiselle Mistinguett. And finally we score the golden goal with this I.Miller ad from 1956 drawn by Andy Warhol. 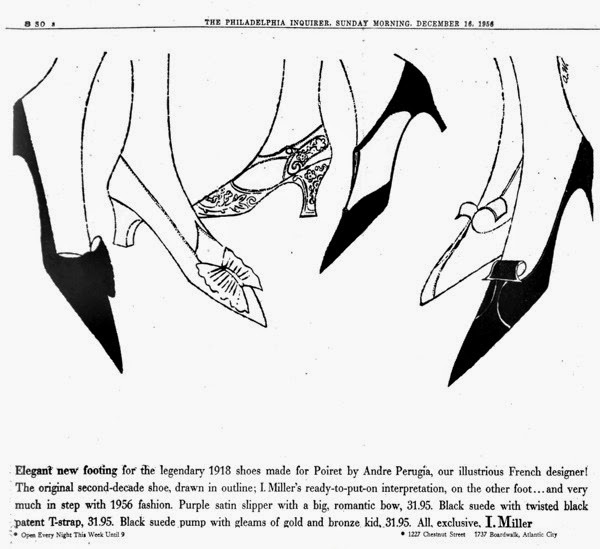 Elegant new footing for the legendary 1918 shoes made for Poiret by Andre Perugia, our illustrious French designer! 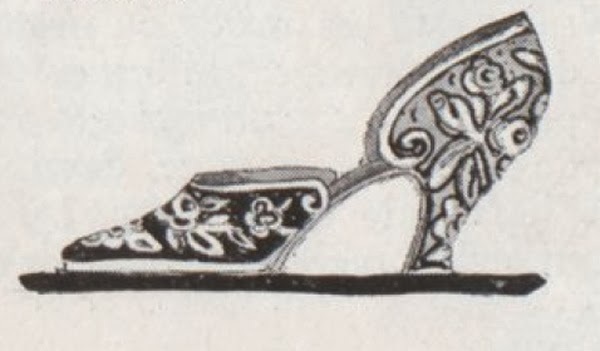 The original second-decade shoe, drawn in outline; I. Miller's ready-to-put-on interpretation, on the other foot ... and very much in step with 1956 fashion. Purple satin slipper with a big, romantic bow, 31.95. Black suede with twisted black patent T-strap, 31.95. Black suede pump with gleams of gold and bronze kid _31.95. All, exclusive, I.Miller. Esiste anche la versione in capretto verde proveniente dalla collezione di Bernard Heyraud. Inoltre, su Vogue France, nel '23 ne era stata presentata una versione simile, in antilope grigia, sempre con decori in cuoio dorato e tacco in legno scolpito. There's also the green kid version from the Bernard Heyraud collection. 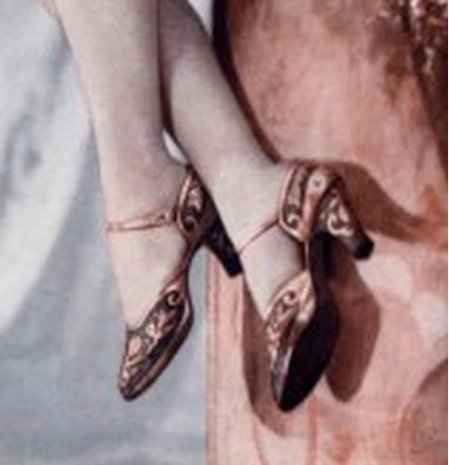 A similar model was featured on Vogue in 1923: grey antelope, with decorations in golden leather and carved wooden heel. 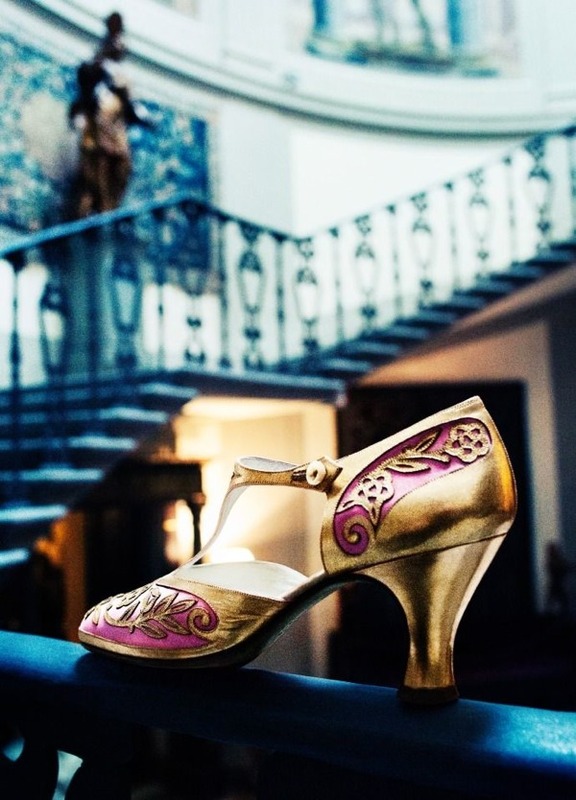 Hortense Mitchell Acton commissioned handmade shoes from André Perugia, in Paris, to pair with her Callot Soeurs dresses.